Do these include a straddle wire? Will I need to order a straddle wire and carrier for each pair? If so, what is recommended? Thank you. Yes a straddle cable is included. 1) My vintage front fork has a distance of 55 mm between the cantilever points and is set up with a 19 mm rim width. Will this cantilever brake fit? 2) Can the pads be exchanged with types like threaded Kool-stop? Yes this should fit and you can use different pads. 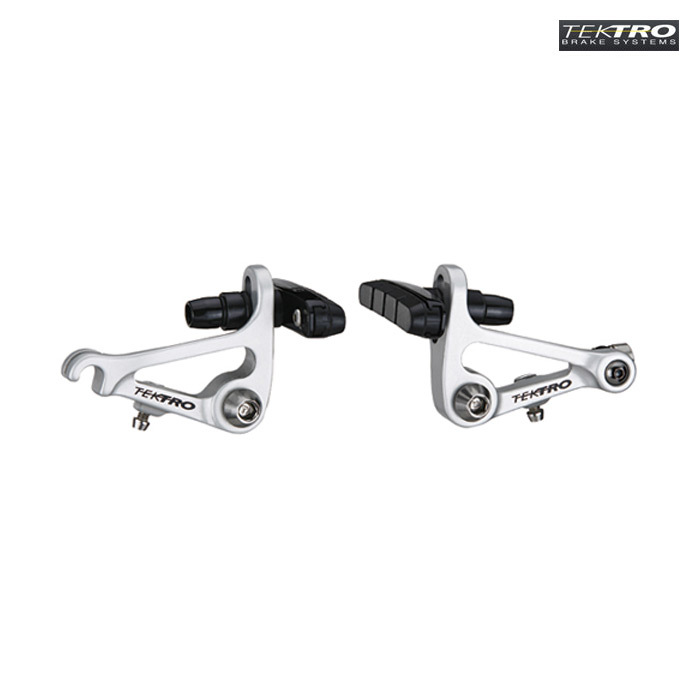 Can I use road brake levers with the Tektro 720 please? Yes you should be okay to use road brake levers with these. Hii,,, if i purches this brake black or silver, its comes 1pcs(for front or rear use) or comes 1 pair? This comes as one set which can be used on either the front or the rear. Hi these are £11 more per brake than the black ones you also have (part no. 23751) is there any difference other than the colour? The only other difference is that the silver brakes have a set of higher quality cartridge style brake blocks where as the black brakes have a set of basic plain brake blocks. These brakes use cartridge style brake pads that are the same size as Shimano's calliper brakes, so any Shimano compatible calliper brake block will fit and be compatible with your brake.